Combining two of The CW’s favorite things—superheroes and stuff with which you are already familiar—the network has confirmed plans to develop spinoffs of two of its most popular series, Arrow and Supernatural. Network president Mark “Rehabilitated” Pedowitz spent some of today’s session at the TCAs (a full report on which is to come) discussing upcoming backdoor pilots for The Flash and a previously hinted-at, still-untitled Supernatural extension that will focus on the “clashing hunter and monster cultures of Chicago,” otherwise known as the CTA Green Line. 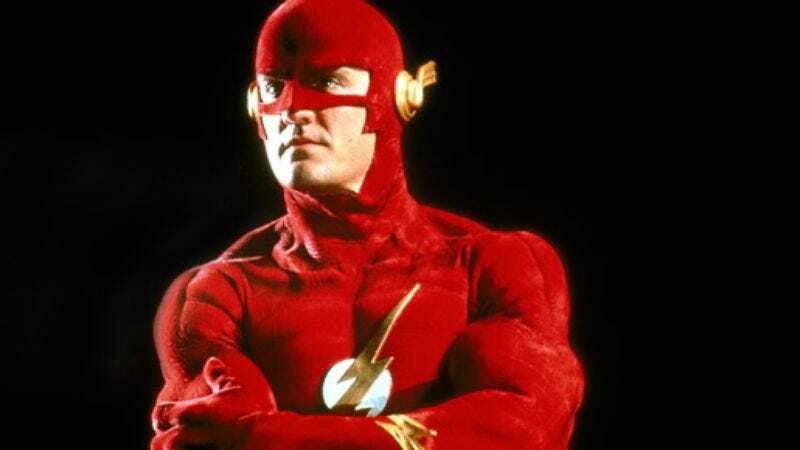 According to Pedowitz, The Flash—just one of many recent attempts by the former home of Smallville to develop another DC Comics series—will introduce Barry Allen, the second and arguably most popular incarnation of The Flash, and (most importantly for The CW) inarguably the sexiest, what with his ability to “vibrate” and his name being “Barry.” The Flash’s introductory Arrow episode will establish his origin story, no doubt giving him a similarly 21st-century makeover that probably involves lots of leg presses. Arrow co-creators Greg Berlanti and Andrew Kreisberg will oversee The Flash from thereafter as well. Can they outdo the failed 1990 TV version? It all depends on what sort of turtleneck they give Barry, we suppose.